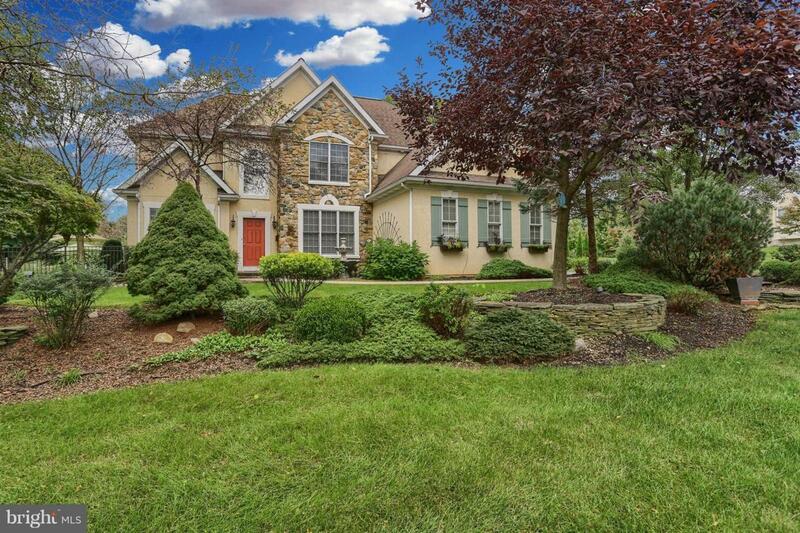 Absolutely stunning Manheim Township home located in popular Millpond community . . . Oversized lot with custom landscaping plus incredible in ground pool, Several stamped concrete patio areas, pergola, gardening bench, private circular conversation ring, huge custom outdoor fireplace, and lovely brick walkways/Warm & Welcoming Foyer with Hardwood floors, Turned Staircase & 2nd floor Catwalk/Arched doorways leading into Lovely Formal Living & Dining Rooms, and loaded with custom features & built-ins/ Large Family Room with vaulted ceilings, Cozy fireplace, custom entertainment center, & full wall built-in seating/Custom Gourmet Kitchen offers granite counters (including large custom serving island), Top-of-the-line Stainless Appliances, Pretty Breakfast Room with french doors leading to outdoor patio & pergola/A tasteful Master Suite is immaculate with recessed lighting & lots of natural light and the adjoining Master Bath with Garden Tub, block shower, his & hers sinks, huge walkin closet with customized shelves & storage will make your life so much easier/3 additional Bedrooms on the 2nd floor plus a huge finished lower level with added Bedroom , Full Bath, Media Room with built-in entertainment center, and Exercise area . . . This is the perfect place to call home!